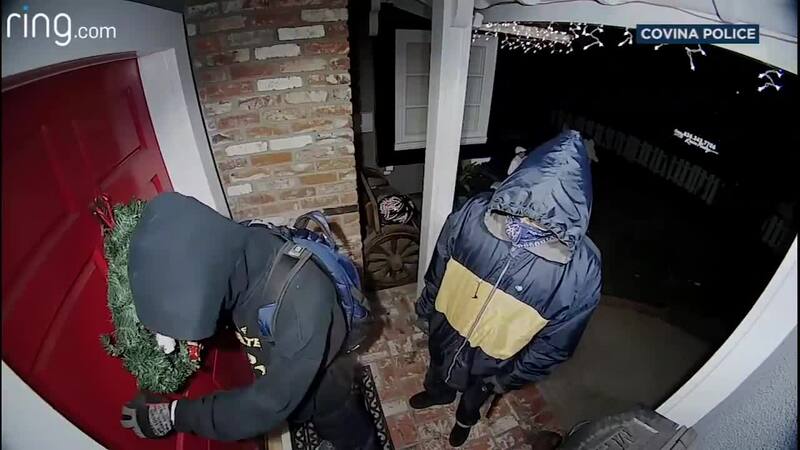 A Covina resident's doorbell camera may have saved him from two possible burglars armed with a gun, brass knuckles and a tire iron - right outside his front door, ABC7 reports. The two suspects, who wore hoods over their heads and what appeared to be bandanas on their faces, walked up to the front door of the home located in the 1500 block of East Algrove Street around 9:15 p.m. Tuesday, police said. The suspects continued knocking for approximately one minute before fleeing the scene in a white panel van. The van left eastbound toward Starglen Drive, and the vehicle was gone before officers arrived.